I love the local paper. I write for one as a columnist, not a reporter, and have for years. I like local reporting that covers the basics of our community: Crime, yes, but also education, sports, the local flower club, what the Rotary or Optimist or Civitan club is doing, who was promoted at work, and things that happen in real life in Real Town, America. Small town papers are vital to our local communities, but on the national scene, the Mainstream Media (MSM) is all about buzz. This week’s media buzz storm has been about separation of children at the border by asylum seekers (really, it was people trying to enter the U.S. illegally as there are 10 places in Mexico to apply for asylum in the U.S. that aren’t at the border). It became the hot topic, dominating the 24/7 news cycle, for a policy that goes back to 1997. Yes, the scale of the problem is bigger now due to Trump’s “zero tolerance” policy and the illegal immigration crowd figuring out that asylum is a loophole to border entry, but it’s been used to separate kids from parents for 40 years. Enacted by Democrats, with good cause, why has this policy become an issue now? I think the issue came up because the MSM is always looking for a villain. Archvillain Number One is President Donald Trump. The MSM has a formula: a story making Trump look bad is #1, Republicans looking bad is #2, 2nd Amendment Adherents #3 and Any Politician Sexual Misconduct is #4. Democrat miscues are #42 and Good Samaritans are #67. If they can find an issue to make someone look bad, it sells. It just does. Generally the best selling “good” MSM issues are #1 children, #2 old folks, #3 racism, #4 sexism and #5 celebrities. If it’s a really, really, really slow news day, cute animals will make the list, at #53. The border issue was a bonanza because it got #1 children and #1 Trump and #2 Republicans looking bad. What a great story! Trump quelled the storm with an Executive Order, something that the Republicans were vilifying when that other President was governing by executive orders. The MSM had no problem with Obama doing it, but they didn’t like Trump doing it. Except now, even they’d look like hypocrites if they assailed Trump for fixing the border issue with a stroke of the pen. What makes a story so provocative that it dominates the news? Why was Casey Anthony’s trial for allegedly killing her child such a media frenzy? Lots of parents kill their kids. Why was Scott Peterson’s murder of his wife Laci such a big deal? Lots of spouses kill their no longer loved one. Usually there is a “hook.” Something that makes it special. George Zimmerman killing Trayvon Martin was an easy hook. Back to my list, a #3 and a #3 adds up to media frenzy. 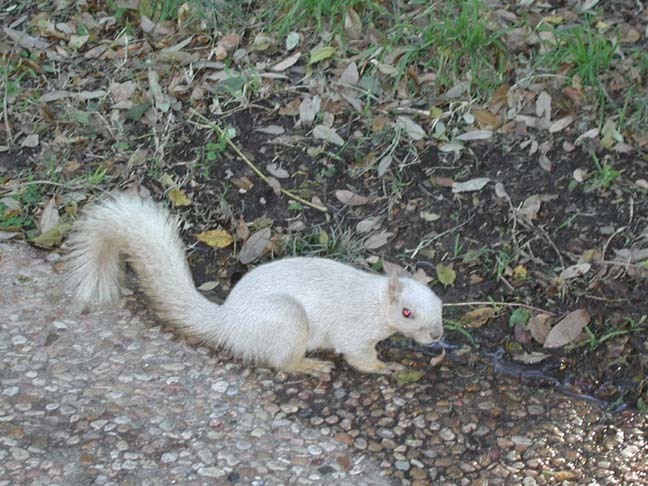 What isn’t a story of national import, but should be is the frequent sightings of albino squirrels in Warner Robins. People all over town are noticing the cute little critters and taking photographs of the rodents. If the albino squirrels make the national news, you know that there is nothing going on that aggravates the MSM that day. That would be an amazing day. Kelly Burke, master attorney, former district attorney and magistrate judge, is engaged in private practice. He writes about the law, rock’n’roll and politics or anything that strikes him. These articles are not designed to give legal advice, but are designed to inform the public about how the law affects their daily lives. Contact Kelly atkelly@burkelasseterllc.com to comment on this article or suggest articles that you’d like to see and visit his website www.kellyrburke.com to view prior columns. Next Arrest Cagle? I think not.